A judge has praised the “diligent” work of law students for helping overturn a former gang member’s murder conviction. Dwaine George, 30, was convicted of the shooting of 18-year-old Daniel Dale in Manchester in 2001, and jailed for life in 2002. George, who always denied murder and maintained his innocence, was ordered to serve a minimum of 12 years behind bars and was released last year on a life licence. After a failed appeal in 2004, the Criminal Cases Review Commission (CCRC) referred the murder conviction to the court of appeal for a second time. George’s appeal case was prepared by law students at Cardiff University working under the university’s Innocence Project, which was set up within its law school to consider potential miscarriage of justice cases. On Tuesday, Sir Brian Leveson, president of the Queen’s bench division, and two other judges quashed George’s conviction, saying it was no longer safe. 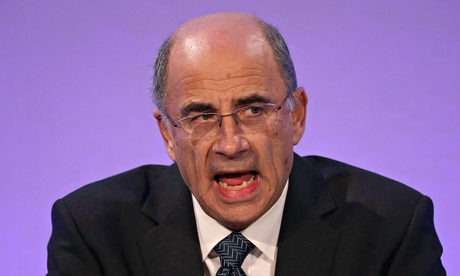 Leveson, sitting with Mr Justice Green and Mr Justice Goss, expressed the court’s gratitude to the CCRC for the part it had played in the appeal. He also paid tribute to the work of the Innocence Project and pro bono unit at Cardiff Law School, which took up the appellant’s case “and pursued it so diligently”. Dale, who had never been in trouble with the police, was gunned down as he chatted with friends in the street and was found collapsed in an alleyway off Farnborough Road in Miles Platting. He was due to be called as a witness in a crown court trial into the killing of his friend Paul Ward, 16, who was stabbed to death in Cheetham Hill in January 2001 in a separate case. Ex-gang member George, formerly of New Moston, was found guilty in April 2002 after a trial at Preston crown court of Dale’s murder and charges of attempted murder and possession of a firearm with intent to endanger life. The judge described how the CCRC obtained its own scientific evidence and referred George’s case to the appeal court on the grounds that there was a real possibility that the evidence of gunshot residue “does not now attract the value attributed to it at trial, and therefore does not support the identification evidence”. The CCRC also questioned the admissibility of voice identification evidence.